Which Mascara and Eye Pencil is the Best for Violet Eyes? Elizabeth Taylor is not only one of the most popular actresses. She is also famous for her violet eyes. She is very beautiful and most of men remember her look after a popular movie which is called “Cleopatra”. 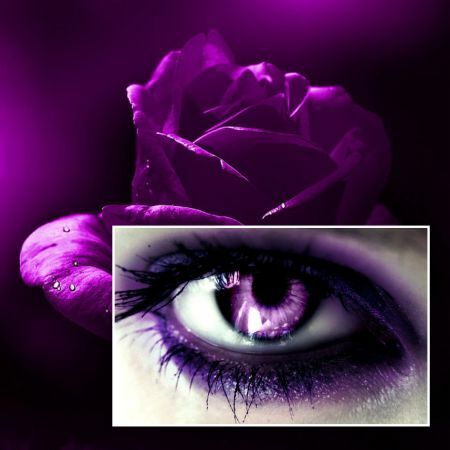 According to the latest researches only 7% of all women are lucky to have violet eyes. Which Mascara and Eyeliner is the Best for Violet Eyes? Violet eyes can impress everyone with their beauty. They look very extraordinary and mysterious. They give women a great chance have look as attractive as possible. Suitable make-up will also stress their beauty. It is possible to make any color deeper and more sexual. All you need is to choose a correct make-up using different kinds of cosmetics taking into consideration the color of your hair and other important aspects. There are lots of popular brands that offer cosmetics of the highest quality. Some of these products are aimed on stressing the color of your eyes. We would like to pay your attention on such products as Oriflame’s Wonder Lash Eye Enhancer Mascara with Purple Shimmer effect. It was created with the help of modern technologies and consists of combination of small purple particles and pigments which create the effect of light attraction. You can also try L’Oreal’s Volume Million Lashes Luminizer for blue or green eyes. It will provide our eyelashes with golden shine which will stress the natural color and beauty of your eyes. Eye Brightening Tonal Black Volumising Mascara from Max Factor is another great option. It will also provide your eyes with the effect of light attraction. You can choose among Black Sapphire or Black Ruby for blue and green eyes. Both of the colors are very soft and gentle. It makes the color of your eyes deeper and more sensitive. 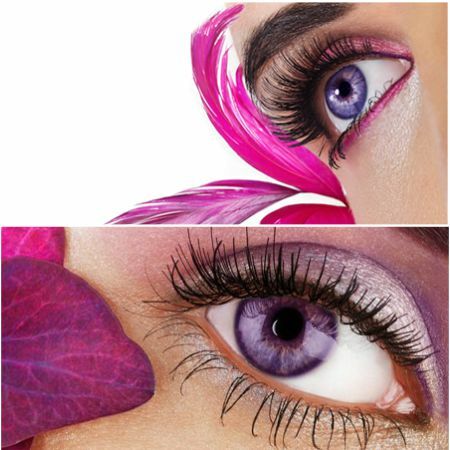 If you are lucky to have violet eyes, you may face some difficulties while choosing mascara as most of the producers offer their cosmetics for more common colors. In other words you will need some time in order to choose the most appropriate variant. Do not be afraid to make different experiments with colors. Eye pencil together with eyeliner will give you a chance to create a beautiful “frame” for your eyes. It will stress their natural beauty as well as their shape and color. Do not focus on the lines and shading. You will only need them in order to attract attention. 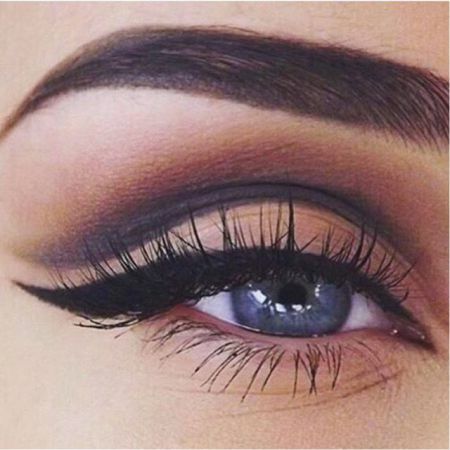 You should not forget about such important aspects as the color of your hair while making eyeliner. If you have violet eyes, black lines will be the best bet. Avoid using blue color as it will still the natural beauty of your eyes. You are recommended to use emerald, dark-brown, dark-violet, black and violet pencil. 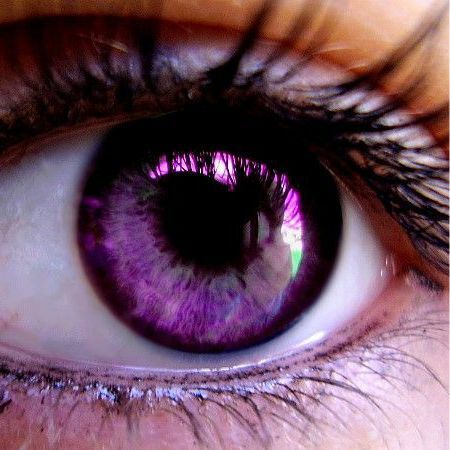 It will show all the advantages of your violet eyes and will attract attention to them. Like the article «Which Mascara and Eye Pencil is the Best for Violet Eyes?»? Share it with friends!